Chemical peels are skin-resurfacing procedures involving the application of chemical substances to remove outer skin layers via exfoliation and peeling. This contained “injury” prompts the body’s normal wound healing process. The resulting regenerated skin is smoother, tighter and more even in color. Who is NOT a candidate for chemical peels? What chemical peels do you use at NP Luxe Esthetics? We use the SkinMedica line of skin peels (Illuminize, Vitalize, Rejuvenize). SkinMedica is a leader in the fields of medical grade skin care and aesthetic medicine. Each of SkinMedica’s chemical peels are aimed at improving complexion and diminishing the appearance of fine lines, wrinkles, and roughness. How many and how often should peels be done for the most effective results? Fine lines and roughness and pigment…...OH MY! Chemical Peels are an important step in your anti-aging skin care routine. This process involves application of chemical substances to promote accelerated skin exfoliation and regeneration. Chemical peels aim to tighten the skin and even the color resulting in renewed, healthier looking skin with a more uniform complexion and smoother texture. Chemical peels also help minimize the fine lines and wrinkles caused by skin aging and photodamage and can be a great alternative to neurotoxins (Botox) for those who are not yet ready for more invasive procedures. 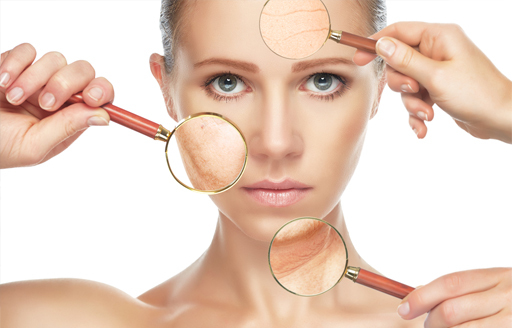 The number of peels required to achieve the desired results vary and depend on the initial level of skin damage. In general, individuals can expect between 3 and 6 treatments at 3 to 4 week intervals. The effect of the peel is cumulative and results are most favorable when the peels are used in conjunction with a comprehensive anti-aging skincare regimen, including a retinoid and sunblock. At NP Luxe Esthetics, we use only medical grade chemical peels with a proven record of safety and efficacy. The first line of defense against premature skin aging is sun protection. This can be accomplished through protective clothing, sun avoidance during peak hours, and sunblock, to name a few. Q: What else can you add to your skincare regimen to help slow the signs of aging? Antioxidants are natural or synthetic substances that may prevent or delay some types of cell damage caused by free radicals, which we are exposed to everyday from sunlight, cigarette smoke, and air pollution. Free radicals are unstable molecules with unpaired electrons that can directly damage cells. In the skin, the damage happens when free radicals try to grab an extra electron from healthy skin atoms. When atoms are taken away from molecules in the skin, it causes damage to our skin’s DNA that can speed along skin aging. This results in pigment changes, broken blood vessels, lines and wrinkles. Too much science? Think of it this way - free radicals are like hungry, overtired three year olds wreaking havoc in the grocery store - and sucking the life out of you. Antioxidants are like Mary Poppins swooping in and neutralizing the situation. Makes sense now, right? So how can you add antioxidants into your skincare regimen? It’s easy! At NP Luxe Esthetics, we offer several options through the SkinMedica line of products from sunblocks to serums. Contact us today for more information about what products might be right for you! Want to curb those fine lines you notice have been sticking around? Or maybe you work outside and want to prevent crows feet from developing prematurely from squinting your eyes in the sun. Perhaps you’re into “prejuvenation” (prevention + rejuvenation) and simply want to preserve your youthful appearance. Botox might be your new BFF! Botox is one of several neurotoxins (including Xeomin, Dysport) that are used to counter wrinkles. They are most effective on wrinkles that haven’t “set in” yet. Neurotoxins work by temporarily weakening the muscles' ability to contract. This, in turn, reduces the development and appearance of facial lines. 1% of patients experienced brow drooping in the forehead lines studies. You may begin to notice results in 48 hours, but most Botox treatments take 10-14 days to see full effect. The effects of Botox last between 4 to 6 months. At this time, muscle action slowly begins to return and lines will reappear. This is a great time for re-treatment. Prevent signs of aging before they begin. Starting Botox earlier in life helps to maintain a more longstanding youthful appearance. The skin is the ultimate protective barrier between our internal organs and the outside environment - this is a big responsibility! Skin aging is influenced by several factors including genetics, environmental exposure (UV irradiation), hormonal changes and metabolic processes. Combined, these factors impact alterations of skin structure, function and appearance. Being constantly exposed to the outside elements, the skin is vulnerable premature aging. In fact, UV radiation is the single major factor responsible for skin aging. Photo-aging involves the premature aging of skin due to cumulative exposure to ultraviolet radiation. This results in the appearance of fine and coarse wrinkles, dyspigmentation (“age spots”), and loss of elasticity. Fortunately, photo-damage can be partially prevented and reversed with proper sun protection and various prescription medications and interventions. Contact NP Luxe Esthetics to find out how we can help you prevent and reverse the signs of photo-aging.